Mumbai-based Aasaanjobs Pvt Ltd, which runs an online recruitment marketplace for blue collar workers under the same brand name, has raised $5 million (around Rs 34 crore) in Series A funding led by Aspada Advisors. Its existing investors IDG Ventures and Inventus Capital also participated in this round, Aasaanjobs said in a statement. 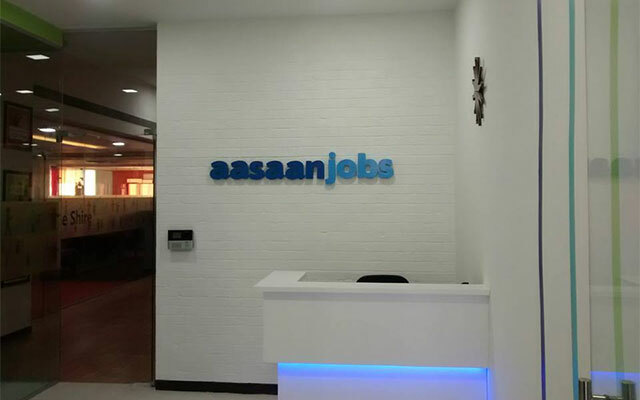 Dinesh Goel, CEO of Aasaanjobs, said: "The company would use the funds to automate its online recruitment marketplace and expand to new cities." The startup has cities such as Pune, Delhi and Bengaluru on its expansion radar this year. Aasaanjobs was founded in late 2013 by IIT alumni Dinesh Goel, Ishank Gupta, Gaurav Toshniwal, Aditya Gupta and Kunal Jadhav. Ishank Gupta and Aditya Gupta left the company after founding it. Goel has previously worked with Deutche Bank and Star India while Toshniwal earlier founded a company called Wiredd Interactive. In January 2015, Aasaanjobs had raised $1.5 million (Rs 10.2 crore) from Inventus and IDG Ventures. Aasanjobs provides an end-to-end recruitment service where employers and job seekers go through a two-way matchmaking system on their web portal as well as mobile app, and the database only connects candidates whose profiles and job expectations meet client requirements. Aspada provides long-term, growth capital to entrepreneurs that address large market needs. Backed by Soros Economic Development Fund (SEDF), Aspada has previously invested in startups across sectors such as agricultural supply chains, logistics, financial services, education and healthcare. Online recruitment platforms have been receiving a lot of investor interest lately. Last month, Indian Angel Network (IAN) member and angel investor Abhinav Mathur has backed Noida-based Talentiser Labs that runs recruitment app Jobick with an undisclosed amount of seed funding. In September last year, recruitment and training platform Capabiliti secured $393,000 (Rs 2.6 crore) from prominent angel investors including Snapdeal co-founders Kunal Bahl and Rohit Bansal and early-stage investor 500 Startups. Aasaanjobs Pvt. Ltd. Aspada Investment Advisors Pvt. Ltd.